This is for 100 (one-hundred) metal snap clips with a hole that are perfect for making your embellished hair clips. 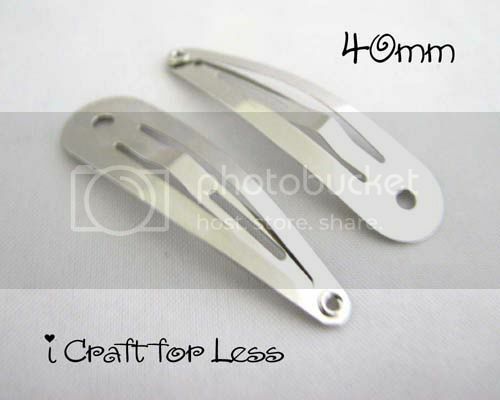 They are silver in color and measures about 1 1/2 inches (40 mm) long and 7/16 inch (11 mm) wide. The little hole measures 3/32 inch (2 mm) in diameter.